Seeds or plays on table. While in play, nullifies all Establish Gateway objectives targeting your missions. 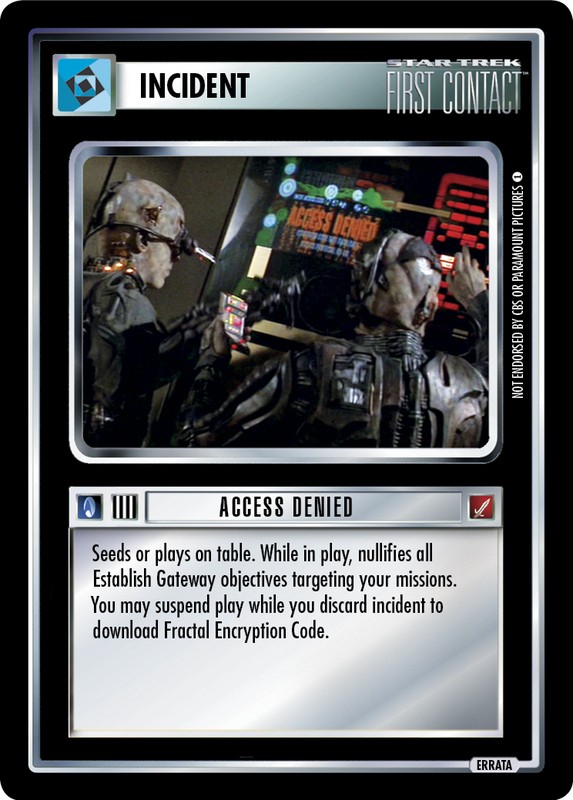 You may suspend play while you discard incident to download Fractal Encryption Code. 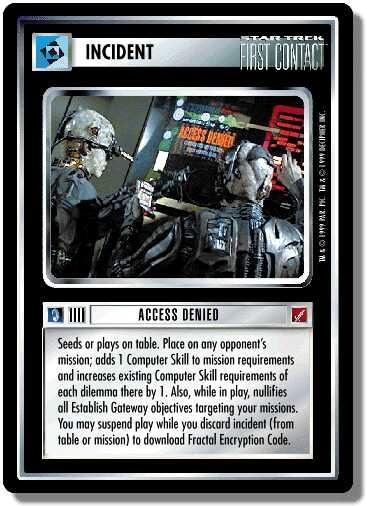 The "adds 1 computer skill to mission requirements and to each dilemma here" was deemed far to abusive and had to be removed as this card was mostly use as a offensive card instead of the defensive it was made to be. There are 14 entries for Access Denied (ST1E 7 U 27) at the Tradeplace (27 haves and 5 wants). Click here to see all trade list entries for this Uncommon card!